The £90m (GDV) project consists of a landscaped public square, a 130 bedroom Premier Inn, 200 private and affordable apartments and 25,000 sq ft of retail and restaurant space at ground level, part of which has been pre-let to national chains Nandos, Prezzo and Las Iguanas. 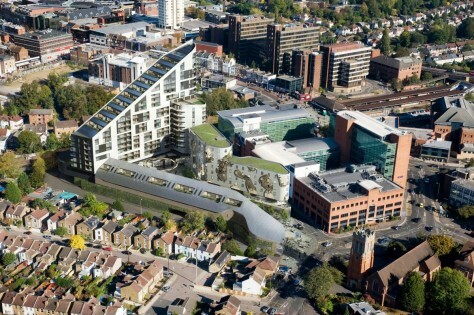 A B level underground basement will include a 400 space car park and nine screen multiplex cinema to be operated by Vue Cinema. Bromley South Central will create 220 jobs in Bromley and inject at least £220m into the local economy over the next 10 years. McLaren started on site in May and the development is scheduled for completion in Autumn 2015.